Press Release (ePRNews.com) - Dubai, UAE - Sep 27, 2017 - Imonholidays, Dubai’s leading travel website launched exclusive 30% off on its Dubai desert safaris. 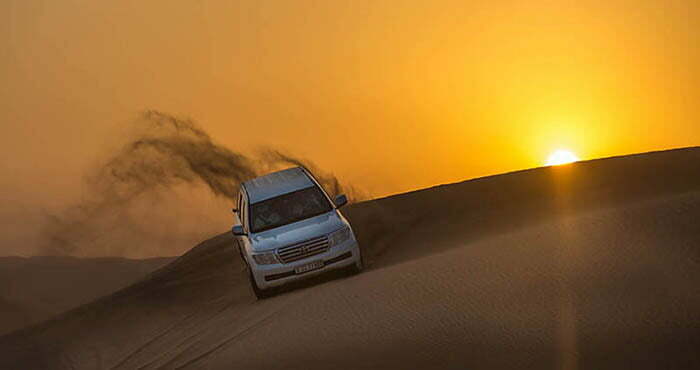 Dubai Desert safari excursion is one of the most sought after tours of the brand and with a whopping 30% off, it comes as a great way to enjoy while saving a whole lot of money. Dubai Desert Safari excursions offered by Imonholidays include morning and evening safaris with pickup and drop for all the guests. The brand also offers overnight camping under the stars in the desert for a taste of memorable adventure. Customers can avail the discount by using the coupon code IOHDS30 during the booking. Bookings can be done at https://www.imonholidays.com/tours/uae/dubai/desert-safari-tours/desert-safari-38. About Imonholidays: Imonholidays is a professional tour operator company, delivering a full complement of products and services to execute perfect holidays anywhere in the world. As a full-service destination management company with 24/7 customer support, Imonholidays’ Incentives division can handle and synchronize comprehensive travel-related programs, such as visa assistance, hotel reservations, airline ticketing, deluxe transportation, corporate business travel, logistics management, meet and greet services, team building and staff support, selection of venues, and refined MICE and FIT arrangements.